GoPro Hero 6 Black VS Xiaomi Mijia 4k! BEST 4K ACTION CAMERA BATTLE!! Today we compare the current king of the Action Camera hill, the GoPro Hero 6 Black and my recent budget purchase the Xiaomi Mijia 4k. Which one is going to come out on top? 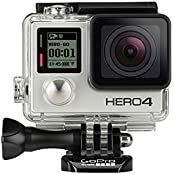 And does is the GoPro Hero 6 Black really worth double the cost?